At Dunham & Jones, we have one goal: to secure a case dismissal or a reduction in every criminal defense case that comes to us. Our Fort Worth, Texas, law firm extends across the state where we have success in the courtroom and behind closed doors. With former prosecutors on staff, we know precisely how every angle of the justice system works. More importantly, we know how to make that system work in favor of our clients. We are a large law firm that has an extensive network of resources at our disposal. Connections with subject matter experts mean we can quickly move to build a solid defense on behalf of our clients. At the same time, we deliver the one-on-one service you would expect from a smaller firm. This gives our clients peace of mind as their case progresses because we are always available to answer their concerns. 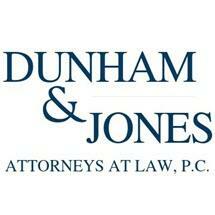 Dunham & Jones has become the go-to law firm for people facing a criminal charge. We are backed by more than 200 years of combined experience. Most importantly, we value our clients and their time. Our attorneys are well-versed in finding efficient solutions to even the most complicated problems.